Could You Really Earn $15 Million Retrieving Lost Golf Balls? Money doesn’t grow on trees. But maybe it lurks in shallow waters. Glenn Berger says he earns about $15 million a year retrieving golf balls from water hazards in golf courses around Florida. He dives for balls, collects them, cleans them and resells them to driving ranges for a buck a piece. It’s not exactly easy money — 15 million golf balls is a lot of golf balls. Perhaps even an impossible amount: According to USA Today’s math, he’d need to collect almost 4,000 golf balls a day, seven days a week — or to collect, en masse, a year’s worth of water-hazard balls at 34 or more different golf courses. Glenn explains that run-ins with alligators and snakes are a regular part of his workday. Sure, that’s a steep learning curve. But, uh, $15 million is a pretty nice salary. Is it really possible? Diving for Cash as a Golf Ball Diver — But How Much? It turns out there’s definitely an industry behind golf ball diving — but don’t quit your day job and grab your swim fins just yet. Although the Bureau of Labor Statistics doesn’t collect statistics on golf ball divers specifically, its website suggests divers might earn about $200 a day. With 260 work days in a year (that is, if you don’t take any vacation), that’s $52,000. But that’s a gross figure. As an independent contractor, you won’t receive benefits like health insurance, and you’ll be responsible for your own taxes. Perhaps Glenn’s $1 per ball is an exorbitant outlier, especially since water does affect the integrity and performance of golf balls. A quick search reveals a forum for SCUBA divers advertising a golf ball diving job that pays 10 cents per retrieved ball, a figure that would lead to a more realistic bottom line. One thing’s for certain: Glenn’s chosen the right locale. Florida is the home of The Player’s Club, Sawgrass and the PGA TOUR’s headquarters, and is widely considered the golf capital of the nation. Because of the elite reputation of the course, players — even amateurs — who visit the TPC-Sawgrass course use high-quality balls that might sell for almost $50 per dozen. 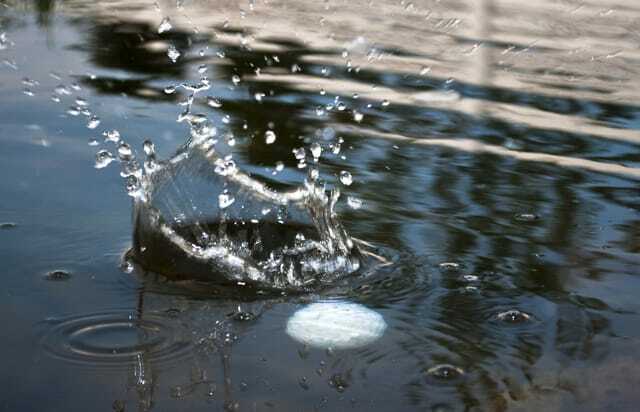 Such pricy balls resell well, even after they’ve been submerged, and ESPN reports that golf-ball divers make an annual income between $50,000 and $100,000. Definitely not bad — but not $15 million, either. So if you’re already SCUBA-certified and live down the street from a golf course, you do stand to earn some extra cash — just don’t start raking the real estate listings for mansions quite yet. Check out our post on how to start making money collecting golf balls! Your Turn: Would you dive golf course water hazards for a living? Let us know in the comments! Jamie Cattanach is a junior writer at The Penny Hoarder and a Florida native. She’s never played a game of real golf — and she’s so bad at putt-putt that if she did, golf ball divers would be making millions easily.